Volunteers are essential to the operation of the club and help to keep operating costs affordable. Family members, relatives, friends and/or the athlete are able to fulfill the volunteer time requirement (includes helping with meet hosting, organizing or helping with a fundraising event, organizing social functions, helping to set up or take down at meets we host, selling at a concession, supervising parking for the Grand Prix, being a Course Marshall so that athletes know they are on the right path in a race etc.) Some families choose to have multiple family members working at an event–adding up their volunteer hours faster and having fun serving together! Volunteer time is tracked by our Club Administrator, Christa McAuley [email protected] so be sure to email her let her know how you have volunteered in the club and the number of hours you have served. Some events, such as the Grand Prix, have a sign-in/out page for volunteers so be sure to sign the page and make note of your hours served. Volunteer time is calculated on the calendar year and cannot be carried forward from one year to the next. There are many ways to volunteer, especially when the club is hosting a Track Meet or Cross Country Race, but the best way to find a great fit for you and your family is to email Christa at [email protected] and let her know things that you are good at. She can place the athlete, parent and/or other family members into volunteer opportunities that work well. Can you organize a Fundraiser? This much-needed volunteer role is more challenging and gets all of your family’s athletes Volunteer Hours accomplished for the entire year. How about photographing athletes at Meets? Could you help with set-up for the Grand Prix? How about monitoring the cross country race course as a Course Marshall so that athletes stay on the right trail? Do you have a knack for numbers and finances? Do you need an at-home volunteer job like addressing envelopes? Email Christa and she will make sure you get scheduled. A $200 cheque post-dated for December 15th 2018 will be required as a deposit and will not be cashed if the volunteer time is fulfilled within the calendar year. This is a flat rate for all athletes regardless of the registration package they choose. When paying for your membership Online by credit card the club does not ask for a volunteer hours deposit cheque. Instead, if volunteer expectations are not fulfilled within the calendar year, the credit card used for registration will be billed. To be considered from the same family, athletes must have the same parents/guardians in their online registration. 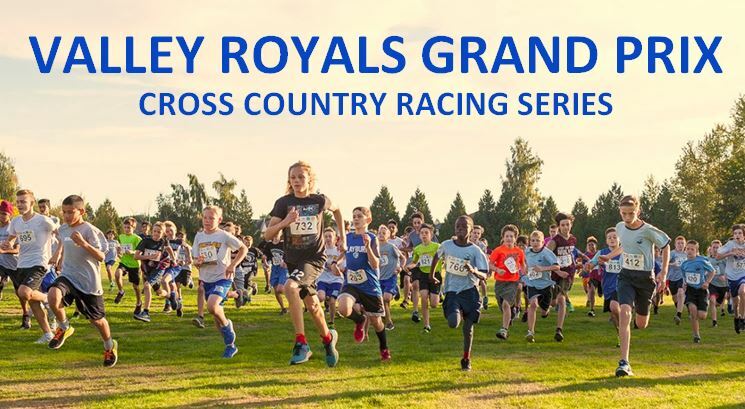 Families with more than one athlete training with the Valley Royals are required to volunteer the designated amount of time for the highest ranked athlete in terms of volunteer hours expectations plus 5 hours for each additional FULL YEAR athlete (or 3 hours for single-season athletes). For Example: If a family has a 16 year old athlete training from January to July and a JD athlete training for the Track & Field season ONLY. The volunteer hours that will be required of this family will be 10 hours for the Jan-July 16 year old athlete and 3 hours for the single-season JD athlete for a family total of 13 hours.